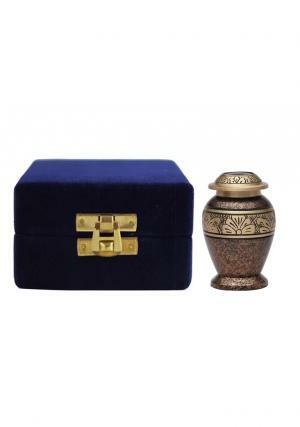 Mini keepsake cremation urn is made of quality brass while decorated and finished by skilled artisans who has their art of work dedicated to curve urn by making them a peaceful final present to the cremated ashes. 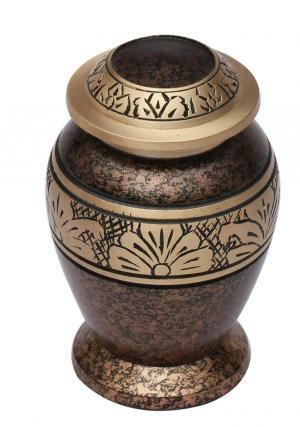 The mini cremation urn is the presence of typical green marble finish on the top. The urn is banded with ring of brass leaves with gold finish on the top of the band and on the lid. 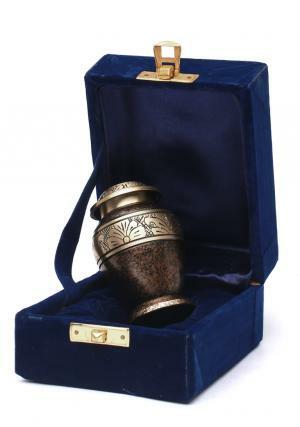 The cremated ashes of the demised loved one has a good place for the final rest which is by storing cremated ashes in the urn and preserving it for a long duration as a token of remembrance. 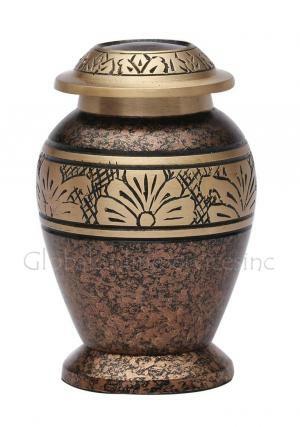 The kind of love you present after the death of the loved can be shown by preserving the ashes and sharing them among the family members or friends by storing them in mini copper marble keepsake urn. 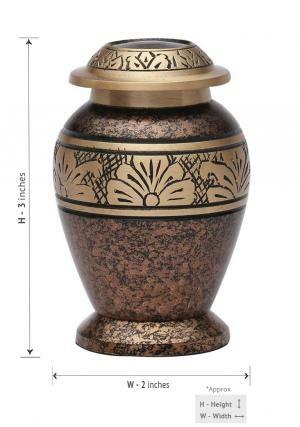 The small keepsake urn can be secured by a threaded lid on the top for an easy closure and open of the urn. 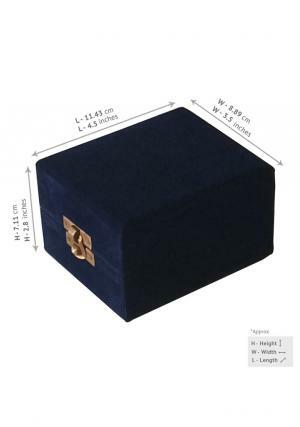 The urn is delivered with a free velvet casket box to preserve the urn as decorative module in home. We do deliver the package for free in UK.